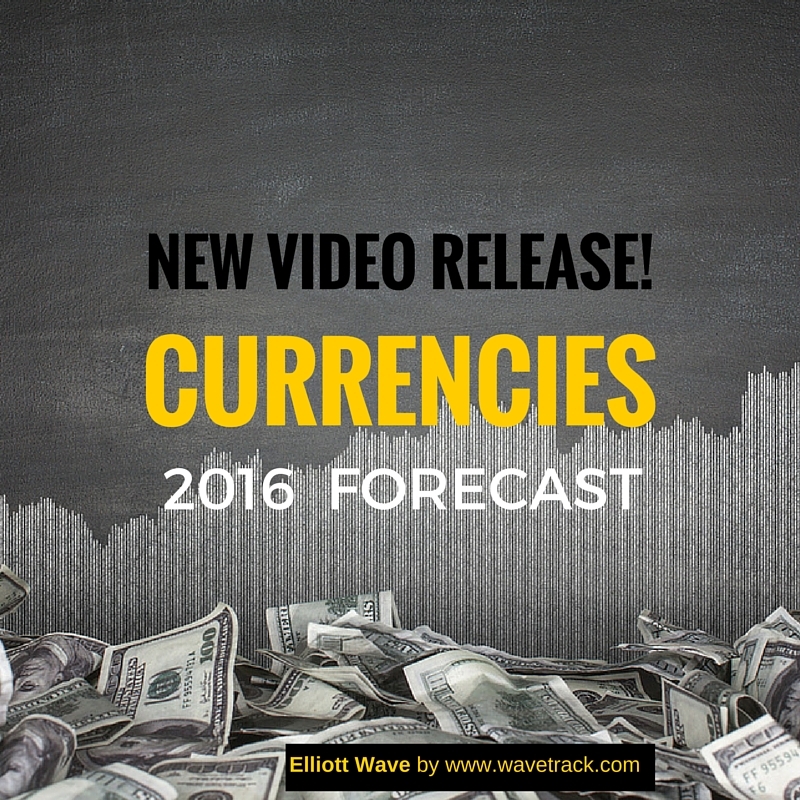 New FX Elliott Wave Video Forecasts for 2016 and Beyond available! We are pleased to announce the PART III VIDEO release of 2016 ELLIOTT WAVE forecasts is available NOW! This final video in the trilogy series focuses on FX & INTEREST RATES. When 2016 began, analysts from the bulge-bracket investment banks published various consensus themes such as a stronger US$ DOLLAR, plunging EMERGING MARKETS, continuing downtrends for COMMODITIES and incremental INTEREST RATE increases from the Federal Reserve. How things change! The year kicked off with a frantic sell-off in stock markets that heightened anxiety to levels not seen since the financial-crisis of 2008/9. Scotia Bank recently reported that a broad-based deterioration in dollar sentiment has pushed the aggregate US$ dollar long position down to $7.6bn, levels last seen in mid-July 2014. In the latest research paper issued by the Netherland’s Bureau of Economic Policy Analysis’s World Trade Monitor, it said that world trade was back to crisis levels as emerging market demand slid back to 2009 levels. Even the committee members of the Federal Reserve have commented in the recent release of the January ‘minutes’ that further interest rate rises may be postponed! As for commodities, so far, mixed fortunes but the precious metals complex has been the star performer with gains in mining stocks of 62% per cent. In our latest FX & INTEREST RATES video, we’ll be dissecting the latest movements of several main currency pairs, including the DOLLAR INDEX, EURO/US$, STLG/US$, US$/YEN, US$/CHF, US$/CAD, AUD/US$ together with some fascinating ELLIOTT WAVE counts for currency crosses, alternate counts – then on to the ASIAN currencies including the benchmark ADXY index with focus on China’s US$/CNY and others including Brazil’s REAL and South Africa’s Rand. The list is so complete that we’ve dedicated 60-minutes to the currency segment. The remaining 20 minutes discusses U.S. and European long-dated maturity INTEREST RATES beginning with a look at the 60-year cycle for the U.S. long bond, then Elliott Wave counts for this and the US10yr and US5yr yields. We even plot an Elliott Wave count for the TIPS Breakeven Inflation Rate which has a secret to reveal! Finally, a look at Europe’s benchmark DE10yr yield and whether it can hold from breaking into negative territory. This is a completely FREE addition to your current subscription of the Elliott Wave Compass report, and we hope you enjoy it. Much of last year’s forecasts are still on track and the content is only available to our subscribers. There are over 40 chart updates for in this video, lasting around 80 minutes! The main content focuses on the location and progress of the different currencies and the disparate performances from various regions around the world. Get access to WaveTrack’s bi-weekly Elliott Wave Compass report featuring many short-term updates of various asset classes and three exclusive videos!